The debate of chlorine vs salt pools has been going on for a long time, and there are advantages and disadvantages to both. Maintenance, cost and health concerns are the main reasons for debate, but there does not appear to be a clear-cut winner. Based on your personal needs and wants, only you can make the decision what is best for you! Saltwater pools use dissolved salt through a salt chlorinator unit instead of chlorine tablets to sanitize and clean the water. The pH levels of the water must be maintained on a regularly as a steady salt-to-water ratio level must be maintained. 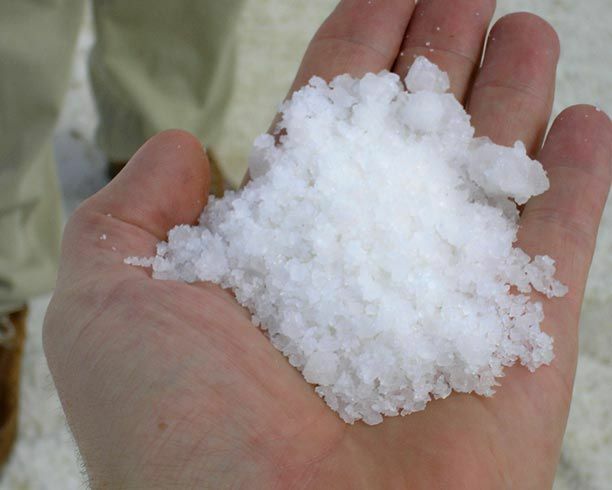 The weekly or monthly amount of salt you add would depend on the amount of rain, the amount of backwashing done to the pool, as well as the amount of water lost due to splashing or draining of the water or regular evaporation. Once you have added salt to your pool, you will only add extra salt over time to maintain the needed levels. Salt does not “disappear” from water once it is there, which is why the initial up-front cost of the salt is more than chlorine, but why the cost goes down significantly over time. Chlorine pools are the most common types of pools. The chlorination system is easy to operate, and pool owners often feel better about maintaining their pool as the chlorine tablets are readily available from pool stores and other major retailers. Pool owners add chlorine tablets to either a pump unit separate from the pool or in a floating device that dilutes the chlorine tablets over time. Chlorine pool water should be regularly checked with a kit and chlorine tablets added based on the pH levels needed to balance the water. Chlorine makes it safer to swim by killing mildew, mold buildup and bacteria in the water. Chlorine pools require a bit more maintenance and potentially end up costing more overall because of the amount of chlorine needed over time. Whether you choose to clean your pool with chlorine or salt is definitely a personal choice. Either way, keeping your pool clean and free of bacteria is an important part of pool care and your families health.